Axis and Avigilon are reversing roles. While the IP video pioneer increasingly loosens its ethical standards, Avigilon has responded with a well done, on target, campaign. **** *** ******** *** ********* *****. ***** *** ** ***** ******* ************ ******* *** ******* *********, Avigilon *** ********* **** * **** ****, ** ******, ********. ** ********, ************ * ********* ******************** ** ******* / **** ****** ***** **** **** **** using ***** *** ******. ******* ** * ******** ** *** **** *** ** *** (hidden) ******* ***** **** ***********, **** *** **** ******* ** rectify ****. ** ** **** **** **** *** **** ** *******, *** disappointing ** **** **** ****** *** ******, ******* ********* ** a ********** ** * **********. *** *** ******** *** ** **** ***** ****. *** *** *** ** ***** ********** *** ***** **** **** great ** **** **** *** **** *****. ** *** *** ****, ********'* **'* ************ ** ************ ** its ***** **** ******** ***** (~$**,*** *****) ***** ** ***** to ************ ******* ******* **** *********** (*. *., ******* **** *******, like ******* ****** *********) *** * ******** ** *** ***** ($*,*** ** ****) and **** *** ***** ******* ** ***** ******* ** ******** spots / ****** ** *** *** **** ****** *****). *******, ** ** *** *** ***** ** ******** ******** ********* their ** ******. ****** ******** **** **** ** *** ****** itself, ** ** * ********* ****** ** **** **** *** company **** *** ******* ********** ************ ****** ** *** ****. Not **** **** **** ******* ***** ******* ********* ***********, ** lets **** **** **** * ******* **** **** ** ***** competitors ****. **** ** *** ******** ********** *** ** ** impractical, ******** *** ****** ** ***** **** ********** ******, ** far ***** ******, ** ****. **** ** *** ***, ** they **** *** **** ********** ******** **** ***** ******* **** PRo ******* *** *****. ********, ******** ** ** ** ****** *** * ********** ******** to ********** / ***** ****, ******** ** *** **** ********* sale ** ***** ***** *********. ***** ***** ********* ** * stronger ********* ************** ** **** *** ******* ******** **** * ***** ** ********, ** ** ****** *** ***-********* ****** ** (*********) '***' that ** *****. *** ************ ******** *** ** ****** **** ****** ****** ****** to ** ********* ** ** ***** *********** **** ***** *** cameras, ********* **** ************* *** ******** ********** *** ****, **** Axis. ***** ** ****** **** ********** ** *** ***** ******* / *********** ** *** ************ ******* ***** ****. ** *** ****, ********* **** *** *******. *** **** **** has **** *******, **** ************ ******* ***** ****,****** **** ***** ************ ********** ***** ********* **********. Avigilon's camera of course can do better, it's using a huge sensor of DSLR if you have checked it in security show. It's also using a Canon DSLR lens of course. and Avigilon's software is much better than any DSLR can do for this industry. This video may have integrity and artistic merit, but IMHO, it is doing a disservice to the camera, at least in terms of surveilance video capability. Why? The dynamic range of some of these shots, while visually interesting are not worthy of a $1000 camera, let alone a $10,000 one. I know that a lot of the footage is at dusk and dawn, with many buildings casting long gorgeous shadows everywhere, but is this the kind of image that someone would desire from this camera in real-life? "it is doing a disservice to the camera"
Are you suggesting that the camera is better in WDR than it shows it the video? "The dynamic range of some of these shots, while visually interesting are not worthy of a $1000 camera, let alone a $10,000 one." That's not surprising given it's not marketed as a WDR camera and the dynamic range spec'd is only 70dB. As we have discussed in other areas, this is one of the challenges of super high resolution cameras - lots more pixels can deliver greater details during even lighting levels but often struggles with more challenging lighting conditions. I'm suggesting there are better shots than twilight scenes to illustrate this cameras usefulness as a security camera. It is good that Axis has done so finally, but disappointing it took them nearly two months, finally motivated by a comparison to a competitor. We've installed a number of 7K cameras, and 1 particular shot required a Canon Pro Lens costing over $5,000 wholesale online.... the alternative was costly directional boring, permits, fiber, poles, and $50k in labor. Curious, when you use an advanced photographic lens with Avigilon, are you able to control the advanced features of the lens, like the zoom, auto-focus, anti-shake etc? Does the lens work as an auto-Iris lens? Image Stabilization - No - Canon IOS is in the lens, and moves the canon camera body sensor. Since these cameras permanently mounted, that's a feature to skip. we only use fixed lenses for best image and lighting results. Can the camera can control the shutter speed or aperture? All current installations are maximum image quality (L1) little compression. below is our 8M Pro controls. You don't get a good feel for the full effectiveness of the camera because it's all filmed in fast forward time lapse. Auto focus issues are masked by the speed of the playback maybe? Had to ask. 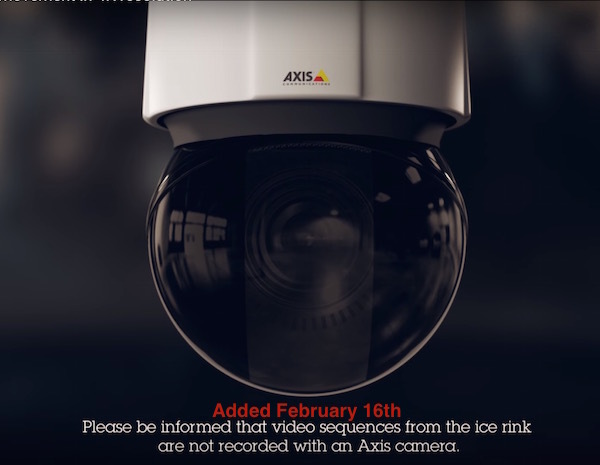 The Avigilon 7K commercial is interesting in that they present it in time lapse. To an average viewer they may not understand that the camera really can't do a good "real time" live image. Their spec sheet says this camera does 5 or 6 fps. If you need a nice fluid flow in a real time application, this camera can't do it. There is some truth in what Chuck is saying; namely that the clip that is presented is a 30fps sequence, but the camera itself is only capable of a fraction of this rate. I see and appreciate your point - It is is about art. The videos are pretty, but I'll avoid building edges. I guess the technology just isn't there yet to provide everything. I guess for now we can only pick 2 or 3 things, and market realities determines the rest. "they don't understand that the camera really can't do a good "real time" live image." On 4K monitors, it's like watching 35mm prints coming to life. Our clients are ecstatic with the image quality from live and recorded footage.